Jarmo, Akina, Chrysa, Hehu, Shelley and Pachai are the Holiday Club. They come from different countries and have very different lives. They first met early one summer morning in Paris. This chance meeting led to excitement, adventure and romance. Their lives changed forever. 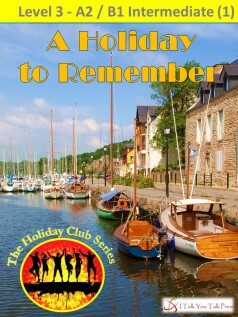 In this first book, they are all looking forward to a wonderful holiday, but it starts badly. Will they be able to have the holiday of their dreams? Or will their holiday end in disaster? Follow the story of these exciting and interesting young people as they find themselves in danger while they solve the mystery of a very strange house.